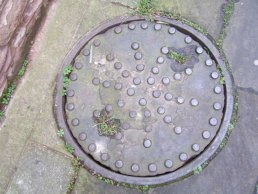 Ross-on-Wye had several other smaller foundries, including Nichols & Sons who are known to have made items such as rain channels and manhole covers. 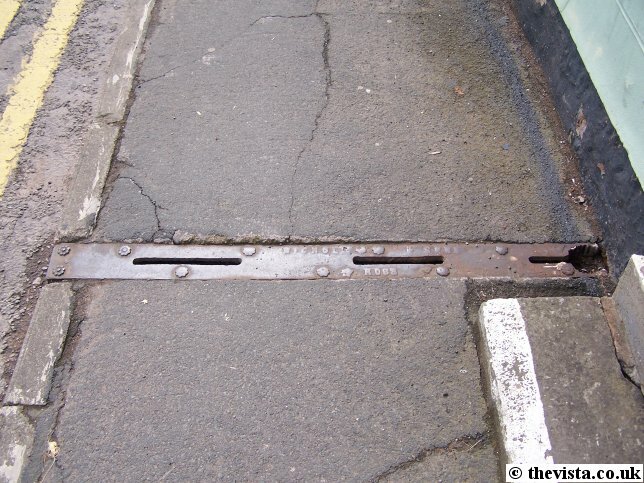 These can still be seen on the streets of Ross. 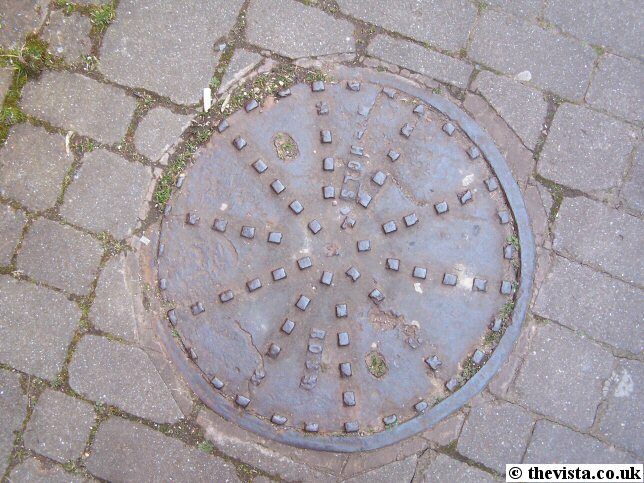 Here we see a manhole cover that I noticed by accident just off Millpond Street. 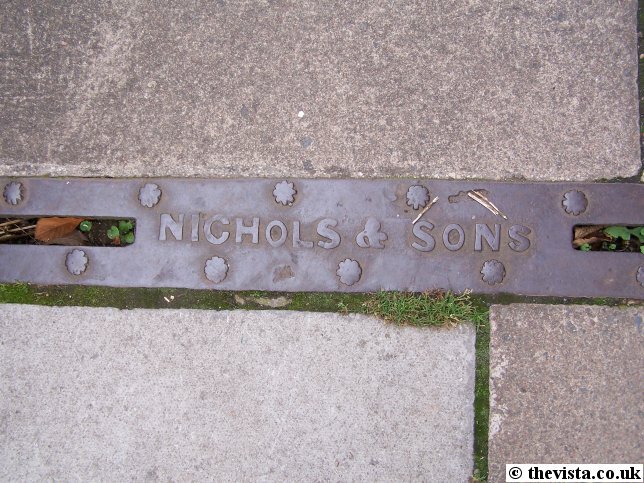 "Nichols Ross" can just be made out across the top of the cover. 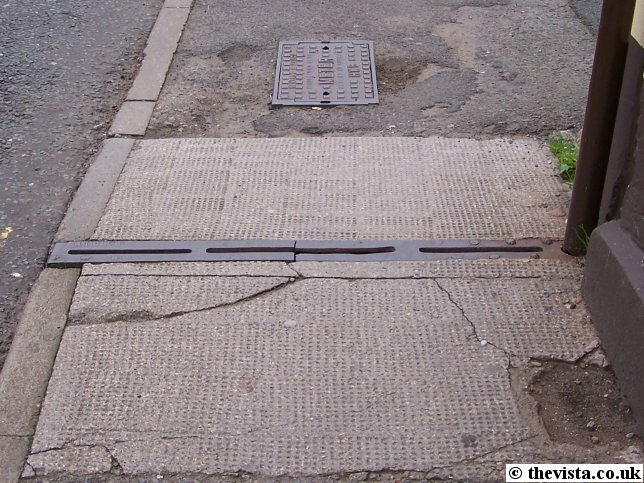 When looking along Millpond Street, there is a noticable hump in the road half way along its length, just outside the entrance to J.S. Carpets. 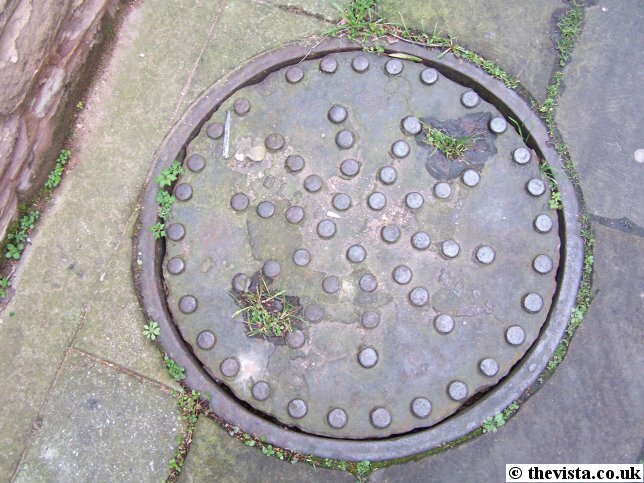 I am told that there is a disused culvert there and it maybe that this drain is access to this or a feed to it. 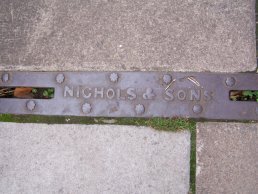 There are very few examples of Nichols & Sons work around Ross-on-Wye, and these are a few more examples I have found.